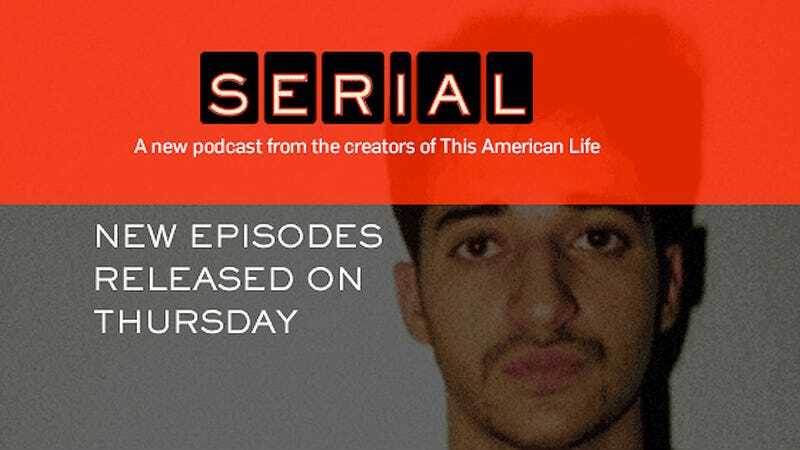 Serial and the case of Adnan Syed is now internationally popular (the BBC picked up the show) but back home, the Syeds say the case has left their family so fractured that Adnan's mother listens to her son's voice on the show's introduction for a bit of comfort while his father won't leave their bedroom. In the wake of his son's conviction and incarceration, Adnan's father became depressed, though he doesn't believe in depression, and never quite got better. Instead Adnan's mother Shamin tells the Guardian, he just stays in his room, reading and sometimes looking at photo albums that dredge up tears. He doesn't listen to Serial, but Shamim and Yusuf, Adnan's younger brother do. "After everybody goes to sleep," she says. "Eleven, twelve o'clock, I lay down here on this sofa and I listen." She says she sometimes plays just one part over and over. "It's the bit at the beginning where the prison operator says, 'This is a Global-Tel link prepaid call from …' and Adnan says, 'Adnan Syed.'" "So sweet," Shamim says. "I listen to that again and again and again." Shamim says she came to Maryland for an arranged marriage with her husband who was working as an engineer. "We wanted to raise our children in America for a better life," she says. "Hah. We got a worse life." They had three sons: Tanveer, then Adnan, and then, eight years later, Yusuf. Adnan was perfect, Shamim says. He was a straight-A student. The teachers would compliment her: "'Whatever you're practising in the house is working on him.' He was very obedient. We never had a problem with him. He only messed up for the last year." On the podcast (SPOILER ALERT!) host Sarah Koenig delves into the teenage relationship Adnan had with the late Hae Min Lee, including the infamous Homecoming blow-up. During the incident, Shamim showed up at the Homecoming dance to chastise Adnan for breaking house rules and yelled at Hae, his girlfriend at one time, in front of their friends. "You don't regret …?" I begin. "Oh no," she interrupts. "No way." "If anything we regret that our dad was too lenient," Yusuf says. Now, the Syed family is not only dealing with what they may've done to create Adnan's predicament, they've become odd celebrities. Serial listeners run up to them in public and tell them how they too believe Adnan is innocent. The craziest part? Adnan isn't allowed to listen to Serial because maximum prisons don't allow it, so Yusuf has to fill him in when he visits his older brother. "Does he understand what a big deal it is?" I ask. "No," he replies. "Sometimes he's, 'Oh, man, I can't wait for it to be over.'" "He thinks we might get upset by it. But he doesn't realise the effect it's having on the outside."